The Autumn Garden can create bold landscapes. With summer’s heat passed it’s time to get your hands dirty. In the sub-tropics, this season is the time of maximum natural growth. 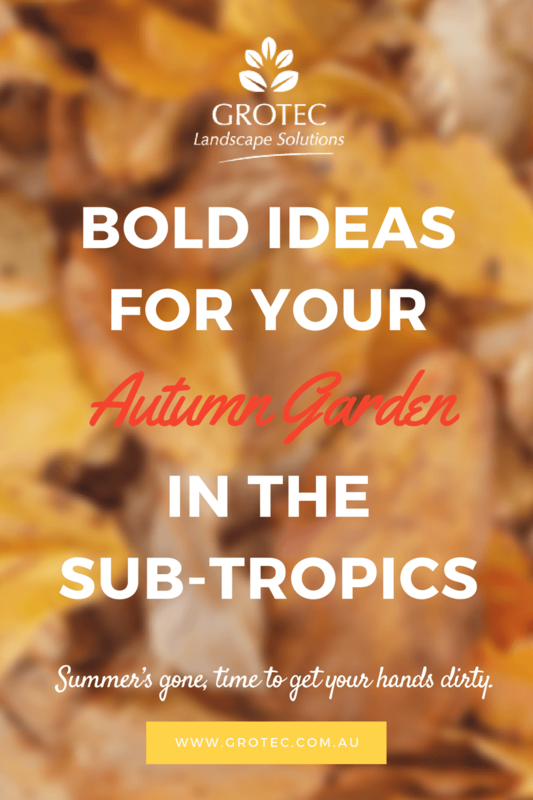 Proximity to the equator dictates which plants will thrive in your autumn garden. The sub-tropical climate zone has one of the largest range of plants and most of them will mature faster than those seen in temperate zones. The autumn garden is the most pleasant environment to work in in our climate zone, when the light is softer and there is less humidity. Dependant on your selection, your plants should start looking lush and healthy. Over the summer and early autumn plants will get the most rainfall, as well as sunlight, and so your garden will need pruning and tidying, then new plants including climbers and even roses can be established. 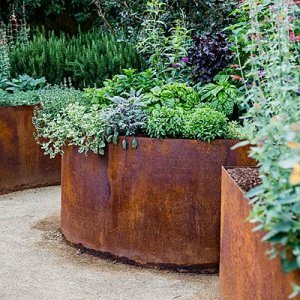 Create a low maintenance, pest free autumn garden. Both annual and perennial plants will provide the colourful red, yellow, and orange palette that we expect in an autumn garden, as well as the carefully selected deciduous shrubs and trees. Bulbs in general do not flourish, although putting bulbs in the fridge for several months may improve the rate of success. As for vegetables, the autumn garden is the time to plant tomatoes and peas, and these can join the all-year-round plants – kale, parsley, lettuce and strawberries. The problems of scale, and other insects needs to be treated as soon as possible. Sign up to Grotec Newsletter for tips on how to treat these. One of the features in the autumn garden is the appearance of epiphytes on trees – native Elkhorn fern (Platycerium bifercatum) and birdsnest ferns (Asplenium australasicum) or Cooktown orchid (Dendrodium bigibbum), the Queensland floral emblem, all flourish. The Grotec team can help re-vitalise your Autumn Garden– give us a call on 07 5532 5554!